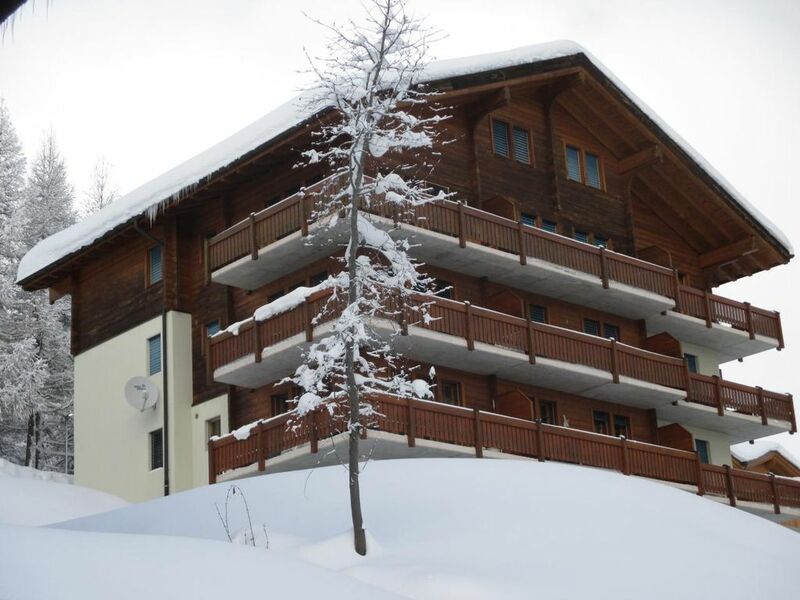 The apartment Belstar "DG West" is located in Bellwald just above the village, directly on the way to the ski lift. Parking is possible directly in front of the house. The apartment is located in the attic and the balcony is facing south and west. Sun is so the whole day. The view into the Rottental (Rhone) is impressive. Rest and relaxation are guaranteed here. The house is located on the hillside and the house entrance is in the middle of the house. For attic apartment there are only 1 1/2 floors (ie 3x 8 steps). The apartment itself impresses with modern cosiness and high ceilings in the living area. In the living area, a modern kitchen unit is integrated at the back. Cooking and eating utensils are plentiful. At the kitchen counter there is then a comfortable bench with a large dining table (beech wood), where fed, played or simply can only be chatted. In the following living area, a leather sofa, 2 armchairs and a satellite TV (flat screen) provide time for leisure or TV evenings. The 1. Bedroom has a double bed (180x200 cm), the second two single beds. In the basement of the house there is the possibility to use the washing machine and the dryer. In the hallway / staircase skis and ski boots can be parked. Final cleaning: once per object costs in the amount of 110 CHF (obligatory). Bed linen: to rent once per person for 20 CHF (optional). Towels: per tenant per object per day (obligatory). Historic village center consists of ancient Walser houses (built of stone and wood) with a baroque church. The village of Bellwald is located on a south-facing sun terrace on approx. 1600 m asl Thanks to its location Bellwald has the longest sunny days in the whole Goms. From here, the view of the valley and the mountains is overwhelming.